Photographs from the P.S. "Mantzaros" from 1890 'till today. Sokratis Anthis was born on Corfu in 1952. He studied trumpet at F.E. 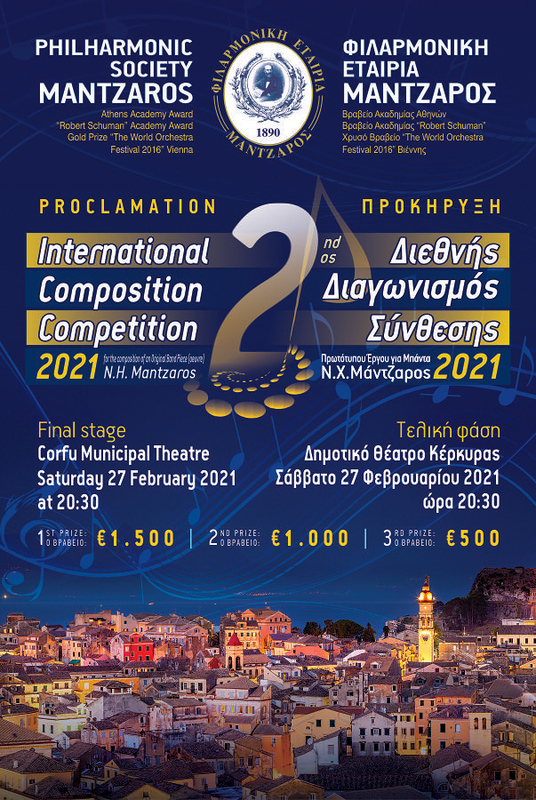 Mantzaros taught by Thanasis Voyatzopoulos and at the Hellenic Conservatory of Music taught by Dimitris Kafyris from where he was awarded with the First Price. 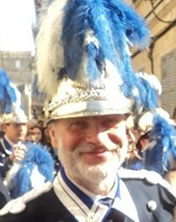 He has attended and still attends trumpet seminars and brass ensemble both in Greece and abroad with foreign teachers. In Greece he has taken part in the most important musical events since 1975 and in many recordings for the Greek Radio and Television, too. He has mainly appeared , with chamber music ensembles, in most European countries and, in others, in halls like the Garnegie Hall in New York, the Queen Elizabeth Hall in London, the Salle Pleyer in Paris, the Palais des Baeux-Arts in Brussels, the Yostuya Kumin Hall in Tokyo etc. He has been one of Manos Chatzidakis close associates for twenty years and participated in all his concerts and recordings. As a soloist he has performed with the State Orchestra of Athens, the State Orchestra of Thessaloniki, the Symphony Orchestra of Thessaloniki Municipality, the National Symphony Orchestra of ERT, the Orchestra of Leipzig Radio in Gewand House, the Pleven Orchestra of Bulgaria, the Colour Orchestra, the ALEA III Orchestra of Boston, the “Marcyas” Chamber Orchestra, the Patras Orchestra, the Stuttgart Chamber Orchestra and the Camerata Orchestra of Music Friends. With La Camerata Friends of Music Orchestra, he took part as a soloist in the co-production of the Athens Concert Hall and the Hamburg Opera with the ballet “Odyssey” by John Newmayer and music by George Kouroupos. He worked as solo trumpet in the Orchestra of the National Opera (1975-1990), the State Athens Orchestra (1980-1991) and the National Symphony Orchestra of ERT (1976-2003). Nowadays, he still co-operates with the Colours Orchestra. He is a founder member of the chamber music ensemble “N. Mantzaros” and of the Brass quintet “MELOS BRASS” which he has a recording activity with. He is a member of the national competitions state board for the European Union Youth Orchestra and the Mediterranean Youth Orchestra. He has taught trumpet in the departments of musical studies of the Ionian University, at the National Conservatory of Music, at Athens Conservatory of Music and at F. Nakas Conservatory of Music where he is in charge of the brass wind instruments. Since 2003, he and the MELOS BRASS have established the annual Summer Musical Academy in Corfu and he has collaborated with internationally famous soloists and teachers like: T. Dokshizer, Ch. Lindberg, Michel Becquet, Frits Damrow, Chris Martin, Jens Bjon-Larsen, Ben Van Dijk, Bo Nilsson, Walter Hilgers, James Thomson, G. Jones, Jay Friedman, H. Halien, H. Macdonald, L. Benucci, Jorgen Van Rijen, Canadian Brass, German Brass and Mnozil Brass.Since 2008, he and MELOS BRASS have been in charge of artistic management of the annual Brass Wind Instruments Festival of the Athens Concert Hall. Since August of 2013, he is a Conductor and Art Director at the Philharmonic Band of Corfu “Mantzaros” (year of establishing 1980).